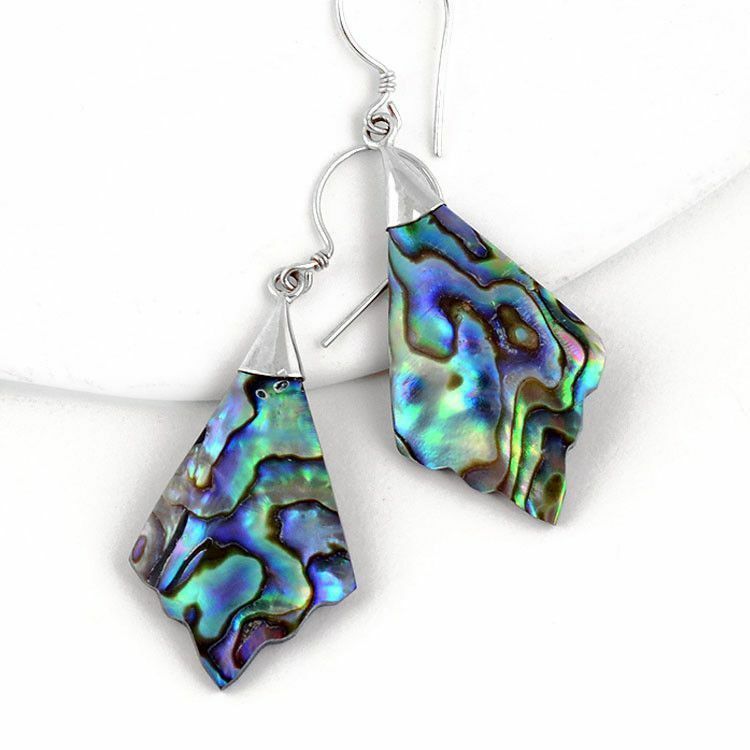 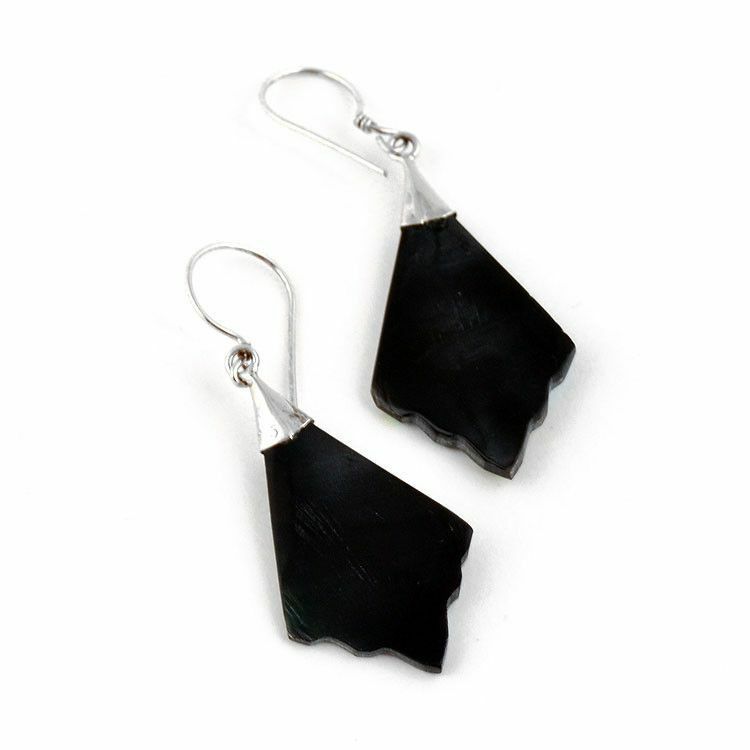 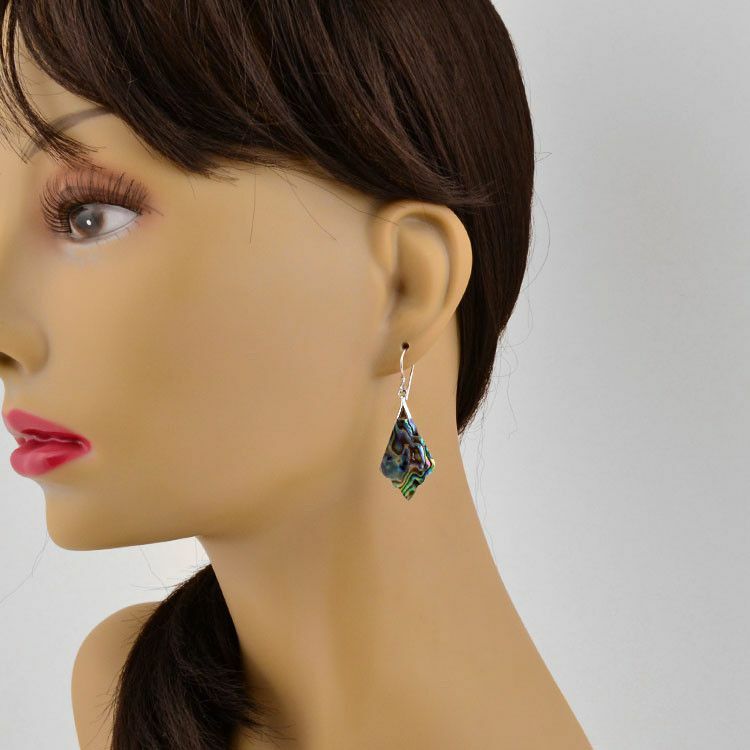 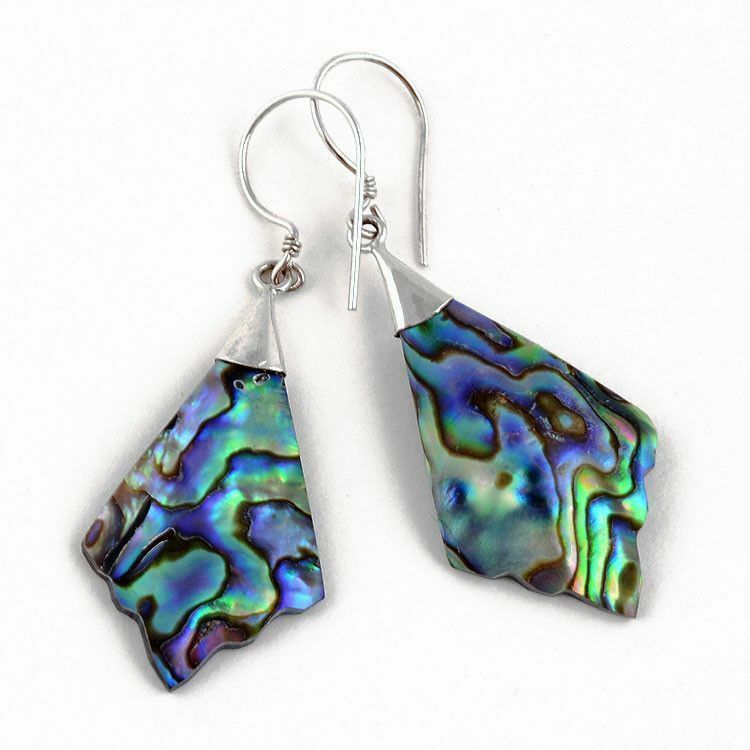 These earrings were hand-made by from shiny, majestic abalone shell gemstones in the shape of an elongated diamond. 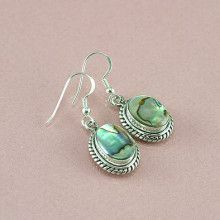 They are set in a sterling silver with simple hook backings and embellished with a small silver spring. 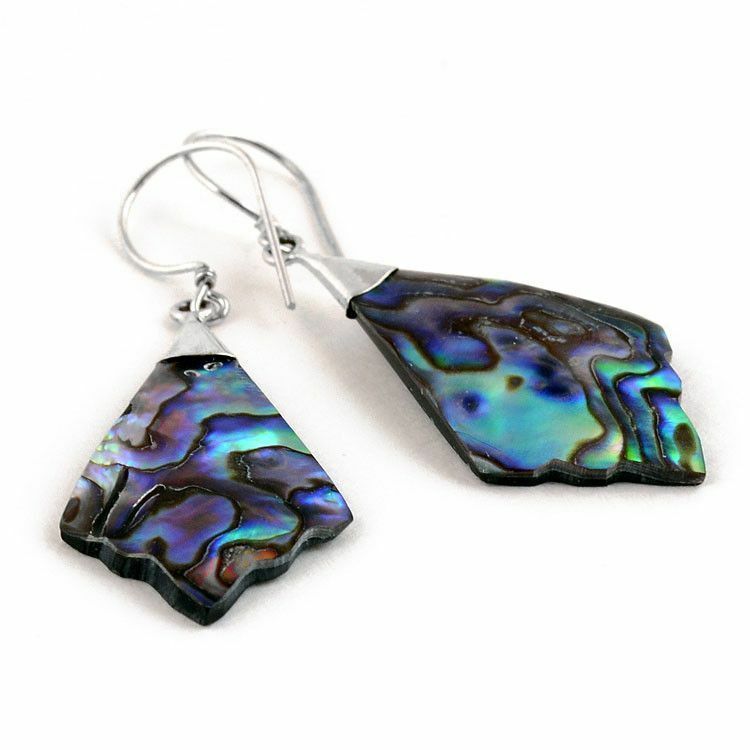 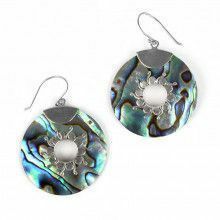 Each abalone stone looks different from the next, thus your earrings may vary ever-so slightly from the pair pictured here.